when you tell us about your visit! Please give us Feedback below. How would you rate your visit? Please enter the text you see. We offer Smart Tanning at Bodyheat Tanning, Las Vegas. Please read this important information about skincare. Indoor tanning, if you can develop a tan, is an intelligent way to minimize the risk of sunburn while maximizing the enjoyment and benefit of having a tan. We call this SMART TANNING because tanners are taught by trained tanning facility personnel how their skin type reacts to sunlight and how to avoid sunburn outdoors, as well as in a salon. Tanning in a professional facility today minimizes risk because the government regulates indoor tanning in the United States and Canada. In the United States, exposure times for every tanning session are established by a schedule present on every piece of equipment that takes into account the tanner’s skin type and the intensity of the equipment to deliver a dosage of sunlight designed to minimize the risk of sunburn. The schedule, as regulated by the U.S. Food and Drug Administration and Health Canada, also takes into account how long an individual has been tanning, increasing exposure times gradually to minimize the possibility of burning. That kind of control is impossible outdoors, where variables including seasonality, time of day, weather conditions, reflective surfaces and altitude all make outdoor tanning a random act and sunburn prevention more difficult. How Do Indoor Tanning Salons Teach Sunburn Prevention? The indoor tanning industry is at the forefront in educating people how to successfully avoid sunburn over the course of one’s life. Studies of indoor tanners have shown consistently that indoor tanning customers once they begin tanning in a professional salon, are less likely to sunburn than they were before they started tanning. 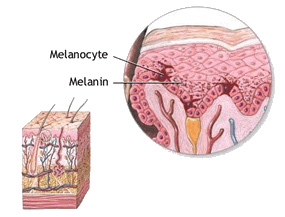 Studies have also shown that indoor tanners are less likely to sunburn outdoors as compared to non-tanners. Consider, in recent years sunburn incidence in the general population has been steadily increasing while sunscreen usage has been declining. And according to the American Academy of Dermatology, the sub-group most likely to sunburn is older men. In contrast, sunscreen usage outdoors among indoor tanners is increasing. We believe that teaching people strictly to avoid the sun may be making them more likely to sunburn when they do go outside for summer activities – and everyone does go outdoors at some point. Tanning is your body’s natural defense mechanism against sunburn, and indoor tanners have activated this defense against burning A tan essentially multiplies the ability of sunscreen worn outdoors to do its job. That’s one reason non-tanners are more vulnerable when they inevitably do go outdoors. Indoor tanners are educated at professional tanning facilities how to avoid sunburn outdoors, how to use sunscreens appropriately and how to properly moisturize their skin. When you also consider that the majority of people who sunburn are male, according to the AAD, and that 65-70 percent of indoor tanning customers are female, clearly, it is non-tanners who are doing most of the burning outdoors. In the war against sunburn, tanning salons are part of the solution. Those who abstain from sun exposure completely are more likely to sunburn when they inevitably do go outdoors, even if they attempt to wear sunscreen. The word “safe” implies that one can recklessly abuse something without any fear of causing harm. And reckless abandon certainly is not the behavior the professional indoor tanning industry is teaching. In fact, we are playing a key role in successfully preventing that kind of reckless abuse. By teaching a “smart” approach to sunburn prevention that recognizes that people do perceive different benefits from being in the sun, we are able to teach sunburn prevention in a practical way that respects both the potential benefits and the risks of sun exposure. For example, previous generations believed that sunburn was an inconvenient but necessary precursor to developing a tan. Today we know better, and we are teaching a new generation of tanners how to avoid sunburn at all costs. Again, our position: Moderate tanning is the best way to maximize the potential benefits of sun exposure while minimizing the potential risks of either too much or too little exposure. Use an indoor tanning lotion Lotions created for indoor tanning help you tan faster. In addition, they replace moisture lost while tanning and help maintain your tan. Many help reduce and combat the signs of aging (the appearance of fine line and wrinkles.) By using lotions you can tan faster in fewer sessions. Ask your Bodyheat Tanning professional for the lotion that’s best for your skin and your tanning goals. Wear eye protection Use eye wear approved for indoor tanning. The best ones are the goggle type that completely cover your eyes. Contacts should be removed before tanning as well. Your eyes will dry out from tanning and so will your contacts, which can be quite uncomfortable. Get your skin ready for a tropical vacation Before going on vacation is an excellent time to tan indoors. Get a base tan indoors first. It will help you minimize the chances for sunburn and overexposure. Remember to moisturize between sessions Use a good moisturizer and a soap-free shower or bath gel to prevent your skin from drying and to maintain your bronze glow. Try an Accelerator to build a base tan If you are starting with little or no tan, try a bronzer. To build your base tan, try 3-4 sessions per week. Try the Filter Glass Tanning unit to maintain an existing tan A High Pressure Filter Glass Tanning unit can get you darker and maintain an existing base tan. One session a week in the Filter Glass Tanning unit will help you continue your tan. Combine that with the most advanced bronzing lotion. Rely on the expertise of your Bodyheat Tanning consultant The professionals at Bodyheat Tanning are trained to help you get the tan you desire. Let them know your skin type and goals, and they’ll help you choose the lotions and equipment that best meets your needs. We’re here to help you look good!